Oslo Vikings Elite team win semi finals to reach Norwegian championship game! 4 Championships, 1 Heart Beat! A historical season for the Oslo Vikings with 4 Series Championships and 4 National Championships in 2012. This will be a year to remember. 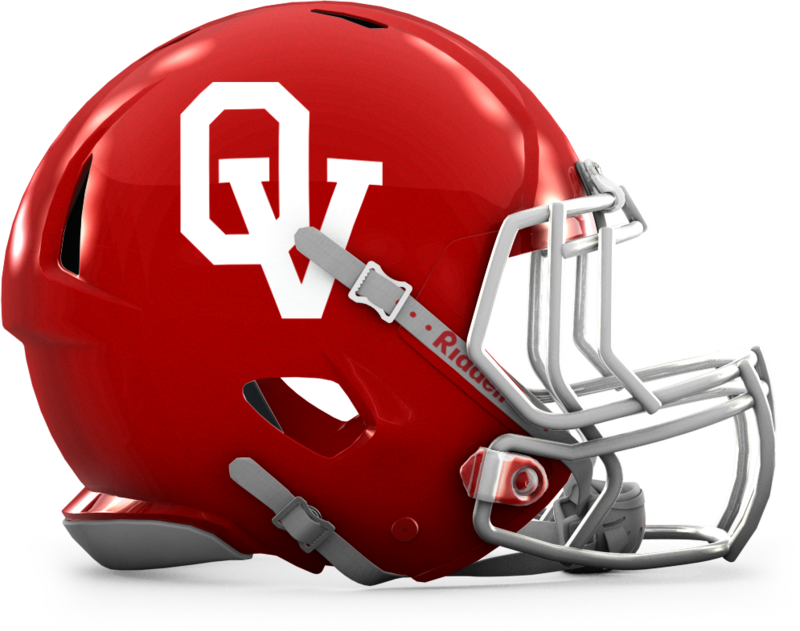 With Coach Marques Anderson at the helm the National Championship is finally back where it belongs – with the Oslo Vikings! The Oslo Vikings beat Eidsvoll 1814’s 48 to 20 in an action packed season finale. A historical year where Oslo Vikings finally have their own home field. This was the year when they got Frogner Stadium as their home. With Coach Chris Gauvreau as the Head Coach the Vikings lost to Eidsvoll 1814’s in the national championship 19-12 at Frogner Stadium. Oslo Vikings lose to Eidsvoll 1814’s in the national championship 48-26 at Voldsløkka Stadium. Oslo Vikings lose to Eidsvoll 1814’s in the national championship 46-00 at Voldsløkka Stadium. Val Gunn takes the Vikings through an historic football program that includes EFAF cup victory over Berlin Adler as a definite high of the season. Great practice games against Seinajoki crocodiles, Monarchs, Gothenburg and the Bulldogs. A narrow loss to the Amsterdam Crusaders stops our progress in the EFAF cup and we loose the Norwegian Championship 27 – 30 to 1814s. Val Gunn returns as head coach for the Oslo Vikings and the senior team reaches the Norwegian Championship game, but is defeated 34-19 that is highlighted by a spirited second-half comeback. Interest is renewed and goals are set for the future of the organization which includes a return to European competition as the Oslo Vikings announce they will participate in the EFAF Cup for 2007. For the third year in a row the Vikings do not make it to the Norwegian Championship game. It is a time of disappointment and transition for the club. A discouraging pattern of failing to reach the NoAF title game occurs as the Oslo Vikings fail to reach the finals for the second year in a row. Eidsvoll 1814s win their second ever Norwegian Championship in a barnburner over the Valerenga Trolls 55-48. The Viqueens cheerleaders provide positive news as they place first in the Moskva Cup. At the senior level, for the first time in 17 years the Oslo Vikings do not make it to the Norwegian Championship game. Valerenga Trolls defeat the Eidsvoll 1814s in the finals 41-31 to earn their first title in six years. The Oslo Vikings junior program wins the Norwegian Championship. The last of the seven senior league Norwegian Championships is won by the Oslo Vikings. Led by quarterback Terry Kleinsmith, the Vikings top the Valerenga Trolls 24-21 in the finals. Is a letdown for the Oslo Vikings after winning three championships in a row. Once again the Vikings reach the finals of NoAF but are defeated 7-24 by the Eidsvoll 1814s. In a positive note, the Viqueens win in the first ever Norwegian Cheerleading Championship. Another three-peat comes the way of the Vikings as they crush the Eidsvoll 1814s in the championship game 69-21. 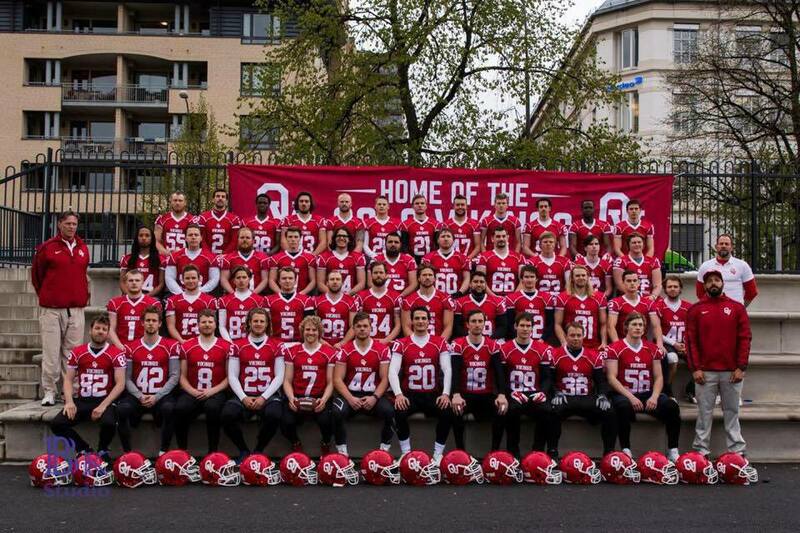 The Oslo Vikings play in the Eurobowl for the first time and even though they do not advance out of group play, the team proves itself well in games against top level opponents. A dominating squad goes undefeated in the league and wins the Norwegian Championship for the second time in a row beating upstart Eidsvoll 1814s. Unbeaten, the Oslo Vikings advances past group play and nearly defeats the London O’s in the finals of the Eurocup held in Brussels, Belgium. EFAF ranks the Vikings #6 in Europe and the team narrowly loses to visiting Doane College from Crete, Nebraska in the USA 0-6. It is the beginning of the glory years for the Oslo Vikings. Head Coach Val Gunn leads the senior Vikings to their first championship since 1992 and ends the streak of five consecutive NoAF titles by the Valerenga Trolls. The Oslo Vikings score win over the Roskilde Kings in the Eurocup. The Vikings grow the club, adding the Viqueens cheerleading squad and a reserve team. Spring Bowl II opens the season as the Vikings finish as the winners; however the finals are again won by the Valerenga Trolls. The Oslo Vikings enter Eurocup competition for the first time. For the first time an American head coach, Joe Murawa, is hired to lead the Oslo Vikings. The result however is the same as the senior team loses to the Valerenga Trolls in the Norwegian Championship. Two other notable events occur as Spring Bowl I is hosted in Oslo and the Vikings Juniors win the title. Another international breakthrough for the Oslo Vikings as they travel to Finland and win a huge upset over the heavily favored Espoo Colts. However, the season again ends in disappointment as the Vikings are downed once again by the Trolls in the finals. A trip to Herlev, Denmark proves worthwhile as the Vikings participate in their first European competition, winning the HydroTexaco Bowl. The Oslo Vikings suffer a loss in the Norwegian Championship to the Valerenga Trolls. The streak of Norwegian Championships for the Oslo Vikings ends as the Valerenga Trolls reclaim the senior crown. Despite the loss in the finals, the club continues its effort in expansion and development hosting a junior camp and a recruiting session. Three-peat! The last season the team is formally known as the Westside Vikings ends in success as the senior team wins its third Norwegian title, once again defeating rival Valerenga Trolls in the Championship game. Luther College from Decorah, Iowa in the USA makes a visit to Oslo. Running back Nicolay Aslaksen makes the roster for the Raleigh-Durham Skyhawks of the NFL sponsored World League. The Viking seniors are back-to-back Norwegian Champions after beating the Asker Lynx in the finals. A breakthrough season for the Vikings. The early stage of NoAF has been dominated by the Valerenga Trolls, but steady improvement finally yields results and a long sought victory is achieved. The Vikings win the first of their seven senior Norwegian Championships. Club development grows and the Vikings field a junior program for the first time. The Vikings face another university squad visiting from the United States and are defeated in the game by Bethune College. Another loss in the championship comes against their bitter rival, the Valerenga Trolls. The Vikings return the favor and visit St. Olaf College in Northfield, Minnesota near Minneapolis and St. Paul. In the championship game the Vikings fall for the third year in a row to the Valerenga Trolls. St. Olaf College makes a visit to Oslo during that year and the Vikings play evenly against the Valerenga Trolls for the first time with the game ending 12-12. First called the ‘Westside’ Vikings; the team was founded through a merger of three high school programs from OHG, Ris and Ulleren.